Location: The region south of the Pass of Aglon and the Hills of Himring, between the rivers Aros on the west and Celon on the southeast. 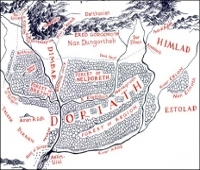 Doriath, showing Himlad between the rivers Aros and Celon. 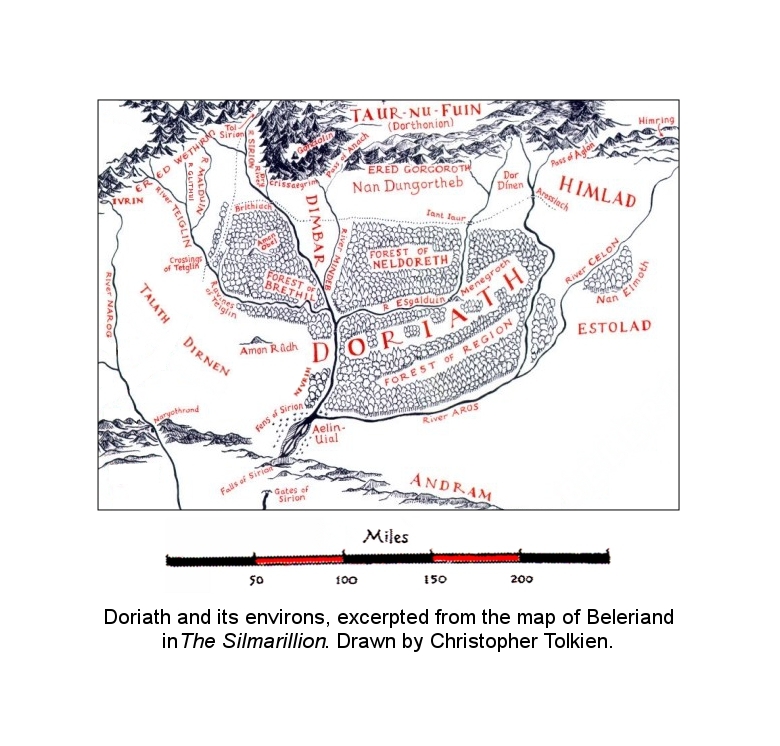 But Celegorm and Curufin fortified Aglon and held it with great strength, and all the land of Himlad southward between the River Aros that rose in Dorthonion and his tributary Celon that came from Himring. [They]... rode away to the north eaves of Nan Elmoth. There they crossed the slender stream of Celon into the land of Himlad and rode [northwest] on to the Fords of Aros, and so westward along the fences of Doriath. lad 'plain, valley' in Dagorlad, Himlad; imlad a narrow valley with steep sides, in Imladris (cf. also Imlad Morgul in the Ephel Dúath).